Netflix just got a new competitor as Google has taken the plunge into the “skinny bundle” TV war with YouTube TV, a paid subscription service that streams a slew of premium broadcast and cable networks to your mobile device, tablet, computer, and anything with Chromecast. 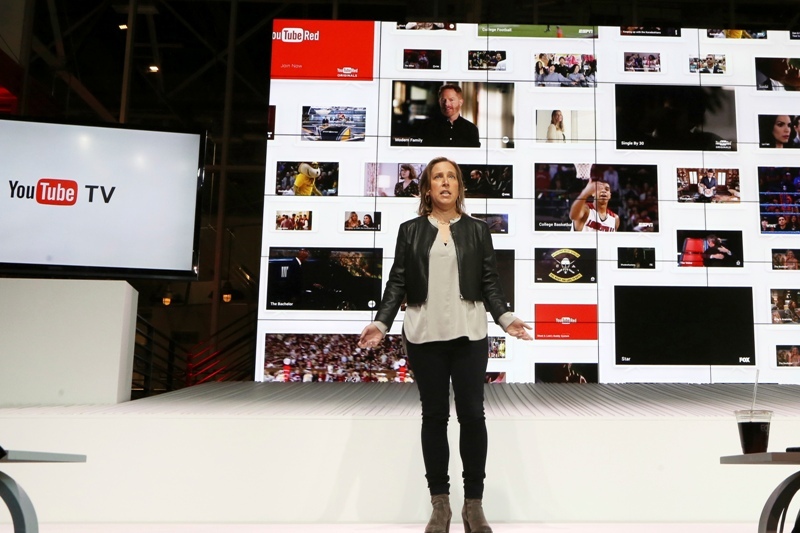 At an event in Los Angeles on Tuesday 28 February, YouTube announced its own streaming TV service. The offering will mix live-streams of broadcast and cable television programming with the wealth of online video found on YouTube. It’s the latest offering in a surge of over-the-top (OTT) services trying to woo consumers who never bought into traditional cable television. Just $35 a month gets you six accounts and access to live TV from more than 40 providers including the big broadcast networks, ESPN, regional sports networks and dozens of popular cable networks. Subscriptions include cloud DVR with unlimited storage, AI-powered search and personalization, and access to YouTube Red programming. YouTube CEO Susan Wojcicki calls it the evolution of television, and a bid to “give the younger generation the content that they love and the flexibility they expect.” So-called skinny bundles include only those channels you really want, at a price that is cheaper than traditional cable. They also bring the world one step closer to the day when you can watch what you want, when you want, when you want, on the device you want. YouTube TV joins a growing wave of services, including Dish’s Sling TV, Sony PlayStation Vue, and ATandT’s new DirectTV Now, with a similar web TV offering from Hulu expected soon. And like these other options, unfortunately, YouTube still has some holes with its offering. 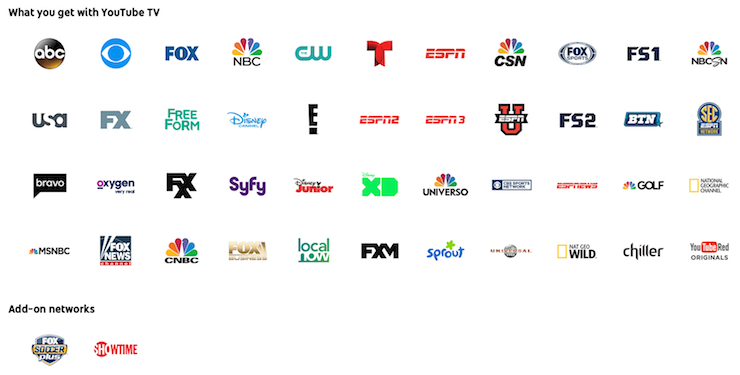 Channels you will have access to on YouTube TV YouTube says it spent two years working on this, and reportedly landed its first partner in October when CBS signed on for the skinny bundle. Other big networks like ABC, NBC, Fox, are on board, but several premium channels, like MTV and CNN, aren’t. You can add content like Showtime and soccer for an added fee, but some content comes with restrictions. If you’re a pro football fan, for example, you’ll have to watch games on your TV or computer because the NFL’s deal with Verizon made it off-limits to your mobile device. And no matter what you watch or what you watch it on, you may see ads—Google, being Google, and its network partners can sell ads on YouTube TV to bring in additional revenue. Sadly, like many other streaming bundles, it has faults. YouTube TV will be missing channels from Viacom, including big names like Comedy Central and MTV. It also won’t have programming from Turner Broadcasting, meaning you won’t be able to get CNN, TBS, and TNT. AMC Networks, Discovery Communications, Time Warner and A+E Networks are also missing as of the launch announcement. Showtime is available as an add-on, but HBO is not. But in the meantime, you YouTube TV will be throwing in originals from it’s YouTube Red subscription service for free! YouTube TV shows how far the company has come since its founding in 2005 when it was little more than a place for people to share homemade video clips. Today YouTube is the biggest online destination for video, with people watching more than 1 billion hours of video each day. And if there’s one thing the internet’s biggest video company getting into this space proves, it’s that such a la carte viewing is the inevitable future of television.